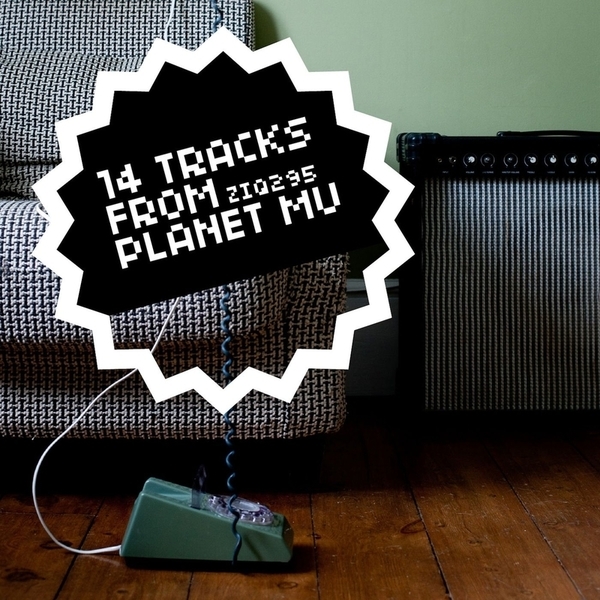 '14 Tracks From Planet Mu' gives a succinct taste of what the exploratory imprint has been up to for the last few years, and where they intend to go with it. The comp is roughly divided between now-established label classics and new material from recent signings, and some veritable veterans. Repping for the last two years the comp touches on Floating Points' breathtaking debut release 'K&G Beat', Jamie Vex'd's downbeat metamorphosis into Kuedo mode on 'Starfox', Rossi B & Luca's soca-grime ruckus 'E10 Riddim', Swindle's ecstatic 'Airmiles' and forward thinking progpop & dance from Ikonika, Rudi Zygadlo, Slugabed and the inimitable Falty DL. On a brand new and exclusive swing, Oriol delivers the frisky bubbler 'Solar' next to Irish duo Solar Bears' pop ambient heartwarmer 'To Be With Her' and 'Parasol' taken from The Internal Tulips debut album 'Mislead Into A Field By A Deformed Deer', and Boxcutter gives the exclusive 'Ufonik' feat. Brian Greene, a brilliant excerpt from his forthcoming album, due later this year. Bargain.